More and more travel is becoming about the “experience”, with hashtags like #authentic trending. 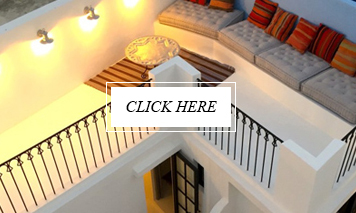 Travel bloggers are all competing for top tips and “secret” spots only known by locals – although the irony of publishing those secret hot spots seems to go without comment . . . !? So when I was contacted by ResiRest, whose aim it is to connect locals and travellers through food, I immediately thought it was a good idea and a great way to share some of my “secrets”. Because quite frankly – as cliched as it may sound – some of the best meals I have had here have been in peoples homes rather than in a restaurant. 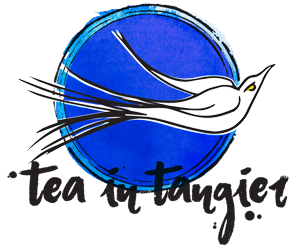 ResiRest is available to use online as well as operating as an app to make booking easy. 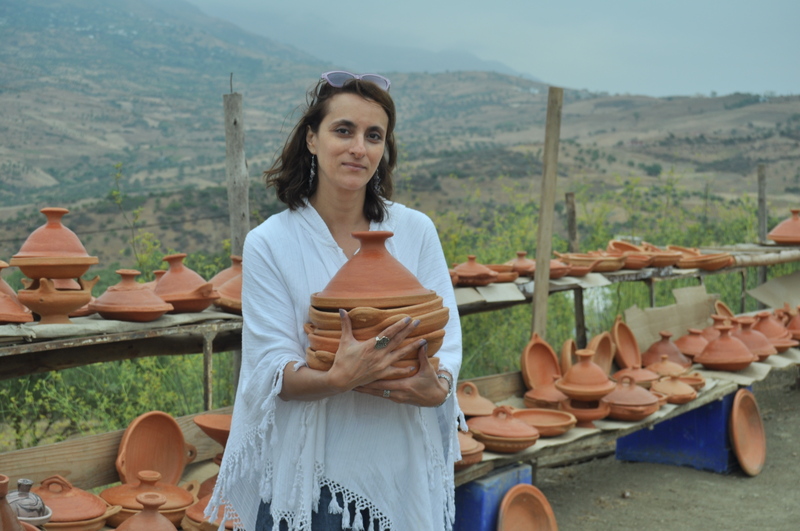 It introducing travellers and tourists to local people who are happy to cook and host in their own homes. This spreads the benefits of tourism into the wider community while at the same time creating those aforementioned travel “experiences” that make the difference to a holiday. 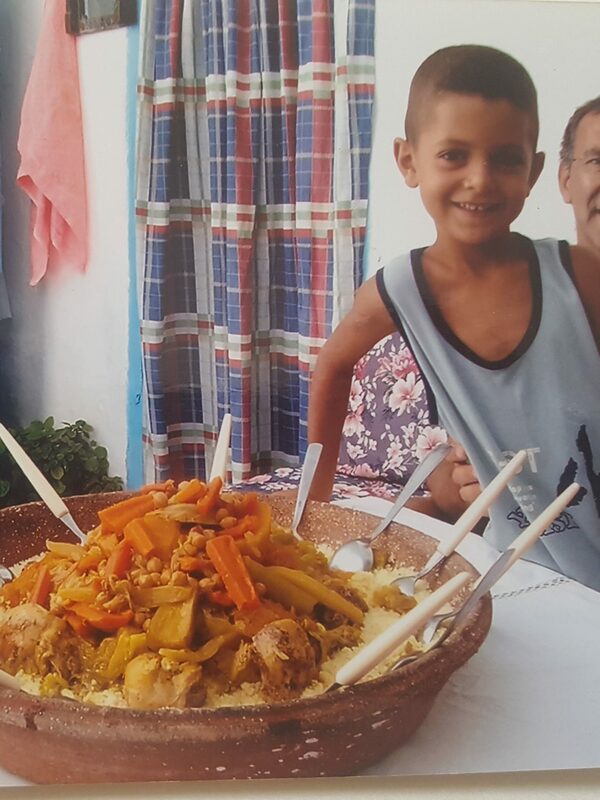 It is also a great option if you are travelling with kids – the informality of eating in someones home can be so much more relaxing and rewarding than (yet another) restaurant! 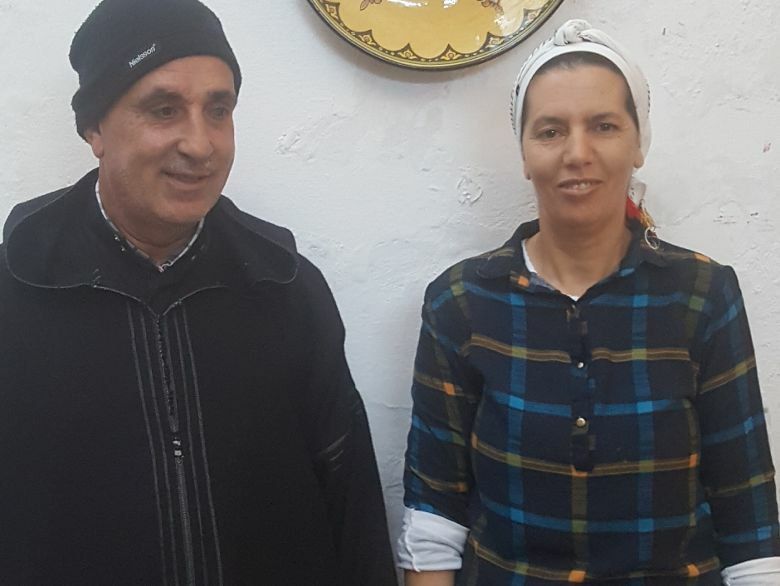 ResiRest in Morocco is working with cooks and families in Assilah, Fez, Marrakech and Essaouiria – and I can personally vouch for Jamila and Choaki who are hosts in Assilah. 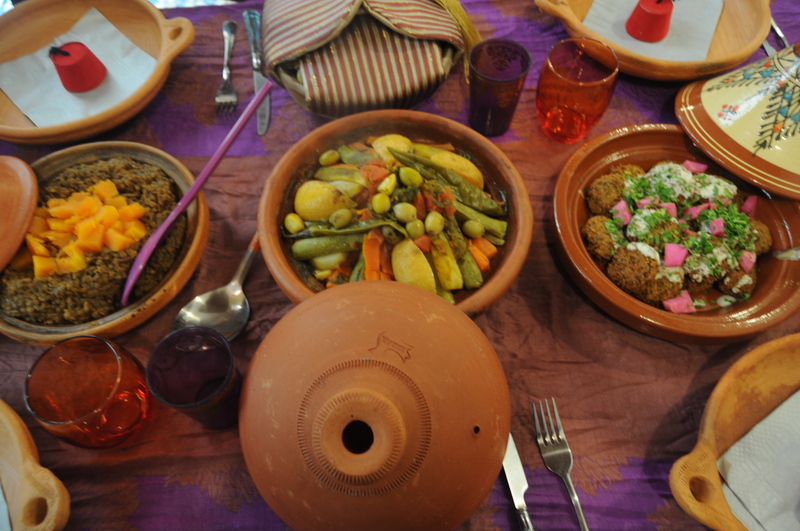 We have been lucky enough to have spent many a meal at their home and I can honestly say that it is the best moroccan food I have had in town – if you are visiting and renting a holiday house in Assilah, Jumila is also happy to cook for you and have the food delivered – her Fish Tagine is fanTAStic!! 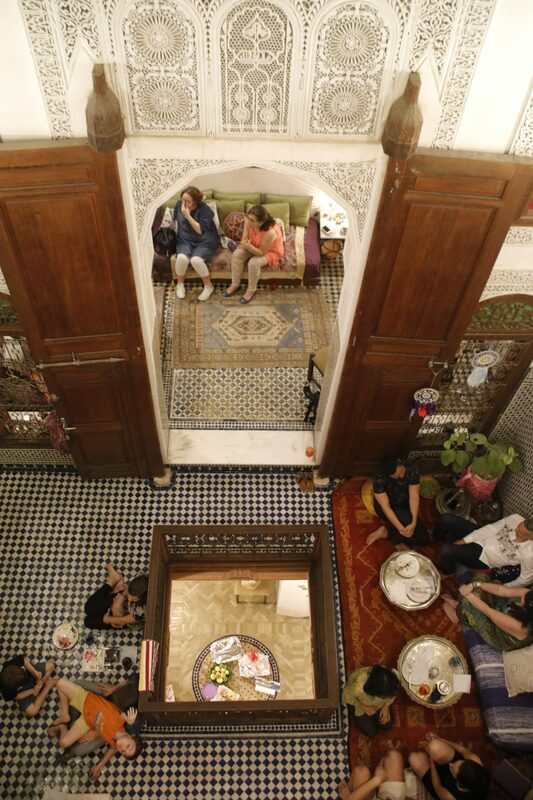 Sahar Elhallak has joined the ResiRest team in Fez – have a look at her Instagram page At Home in Morocco. 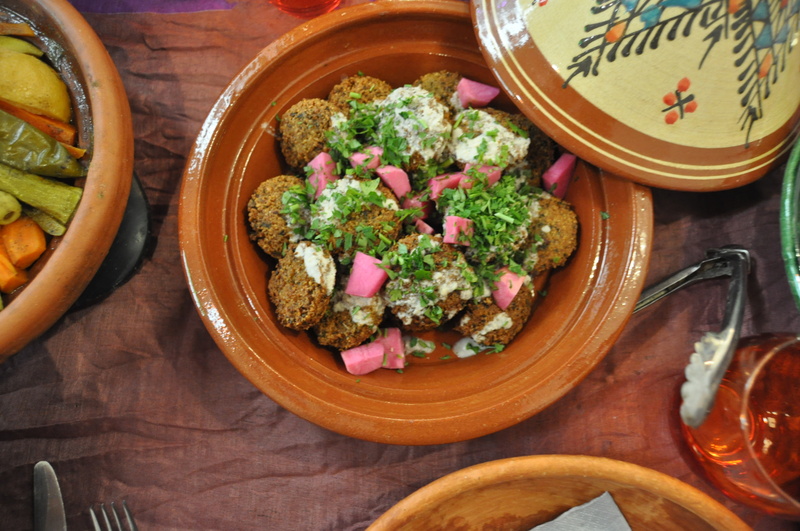 Or even better – if you are in Fez, go on the ResiRest App and book a meal with Sahar in her home! The idea behind ResiRest is a simple one. Get a taste of the authentic local culture by joining ResiRest and support the locals! tea in essaouira . . .